Visit the Faro a Colón where Christopher Columbus’s remains are said to be held. 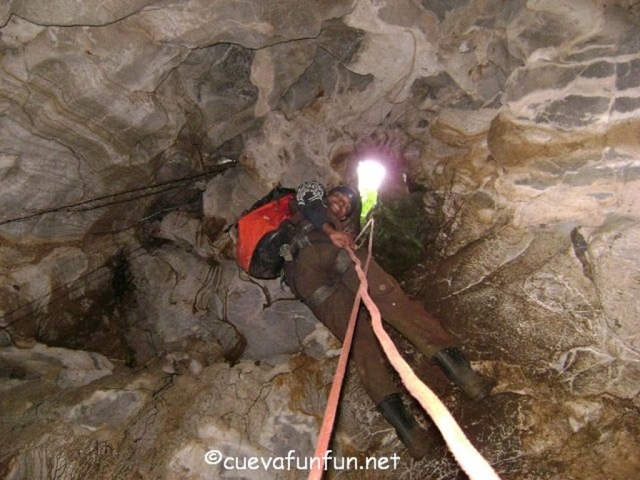 Then visit Parque Los Tres Ojos, a natural limestone cave that is home to a series of three ancient underground lakes. 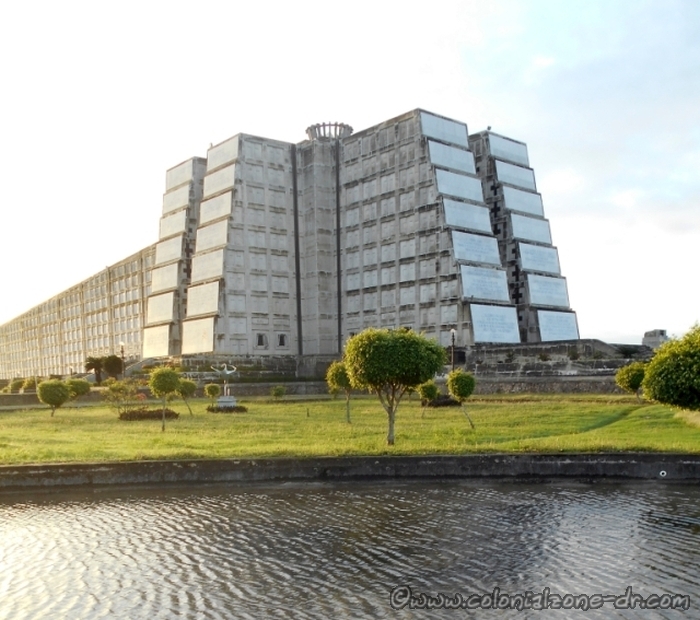 Visit the Faro a Colón, a 10-story high monument dedicated to the controversial explorer. Learn about his visits to the area while touring the lighthouse-like structure, which is both a museum and mausoleum where many believe Columbus’s body resides. 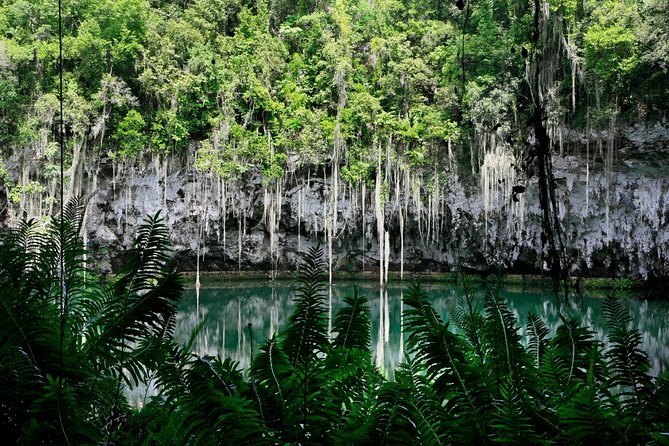 Afterward, embark on a subterranean boat ride through Parque Los Tres Ojos, a natural limestone cave that is home to a series of three ancient lakes. More information about the Columbus Lighthouse and Three Eyes National Park Tour. 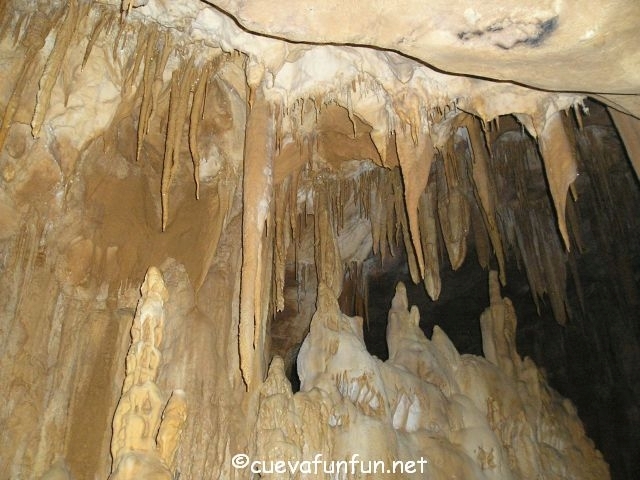 Explore the largest cave in the Caribbean, Cueva Fun Fun. Experience the underground beauty of Dominican Republic. Ride horses through Los Haitises National Park, repel to the depths of the caves and learn about the history, biodiversity, and culture of the place from your expert local guide. Cueva Fun Fun, Rancho Capote is located in the Dominican Republic province of Hato Mayor del Rey in the foothills of Eastern Cordilla. Only 101km east of the capital, Santo Domingo, the ranch is located in the heart of the country on a typical Dominican working farm. 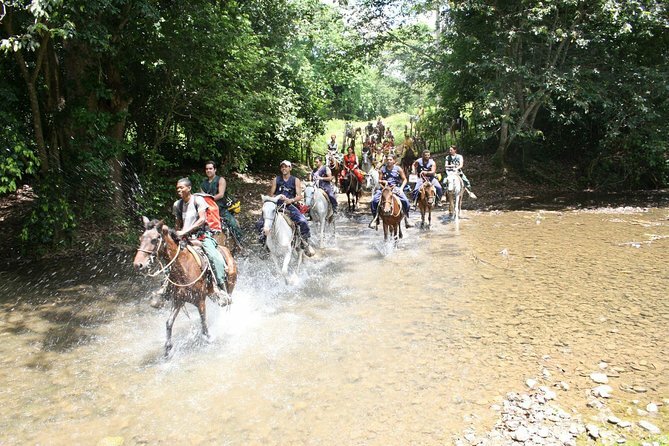 Your experience starts off with a light snack and a guided 30-minute ride on horseback through the epic landscapes of Los Haitises National Park. You’ll also have the chance to explore on foot, as you venture into the depths of the forest on a 40-minute trek to the mouth of Fun Fun Cave. Your professional guide will help you repel 65 feet (20 meters) into the depths of the cave, where you’ll navigate the hidden chambers and dark tunnels filled with West Indian Taino rock art and flowing rivers. Wander through the stunning stalactites and stalagmites, plus incredible lava columns and rock formations as your guide points out the cave’s dramatic features and shares history and stories about this unique destination. You’ll have time to enjoy a quick beverage once you make your way out of the cave, before heading back to your starting point on horseback for a traditional Dominican lunch. Cool off with a dip in the nearby river (don’t forget to wear your suit!) and then relax for the comfortable drive back to your Punta Cana hotel. Enjoy a 6-hour adventure tour in Scape Park at Cap Cana, Punta Cana, La Altagracia Province, Dominican Republic. Try a zip line, dive off a cliff and more. *Cross suspension bridges and eco-trails with photo-perfect scenery. *Stop for a complimentary light lunch. 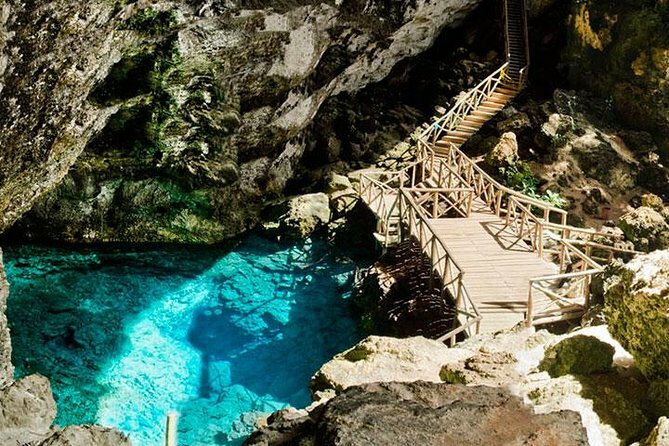 *Visit Hoyo Azul, a natural spring-fed lagoon at the base of a towering cliff, for a refreshing swim. 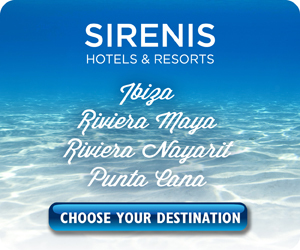 *Round-trip transportation from Punta Cana hotels is included. Get more information about the Scape Park and Hoyo Azul Adventure. Scape Park offers numerous activities in ONE adventure park! 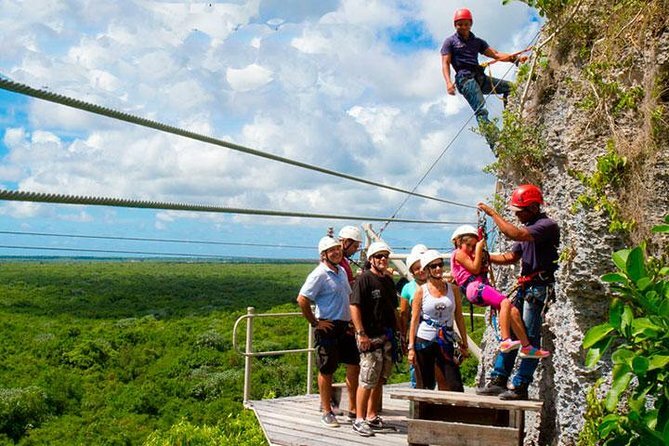 Scape Park is an amazing Adventure Park nestled in the southern extreme of Punta Cana. The park is comprised of a vast dry forest at the base of the Farallon Cliff. Some of the great adventures included in a day pass at the park. *Hoyo Azul Eco Tour: Natural Blue Lagoon at the base of a towering cliff. *Iguabonita Cave Expedition: Hike into caves replete with Taino Indian drawings and bats. *Zip Line: 8 heart-pumping zip lines attached to the side of the Farallon Cliff. *Cultural Route: Enjoy a nature walk to a typical Dominican country home and descend into a cave with calm waters. 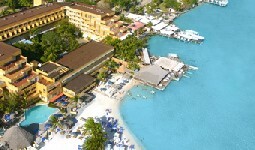 *Beach Getaway: Enjoy an open bar and the renowned Juanillo Beach at Cap Cana. *Xenotes Caribe: Enjoy an immense pool and waterfall in a natural cave with diving platforms, rope swings and zip lines. 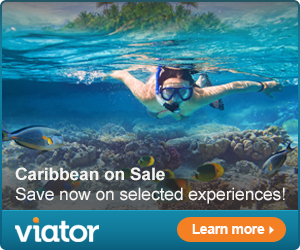 *Sunshine Cruise: Cruise in a catamaran, snorkel and enjoy open bar in the perfect Caribbean setting.